Mokgatle’s keen interest in reading inspired him to enroll at a number of night schools in Pretoria and Johannesburg. Some of these were run by members of the South African Communist Party and gave him the opportunity to learn more about communism and trade unionism. His political and trade union activism was given impetus when he joined the Communist Party of South Africa (CPSA). He was elected to the Pretoria district committee of the CPSA in 1941, which further stimulated his activities in these areas. The period between 1943 and 1954 was his most fruitful and saw his greatest contributions to trade union and political organizations in South Africa. He collaborated with other trade unionists and activists, leading to the formation of many unions in Pretoria. He became full-time General Secretary of the Non-European Distributive Workers’ Union in 1943. He served on the executive committee of the Transvaal Council of Non-European Trade Unions and became the secretary of its Pretoria branch during the 1940s. In the late 1940’s, he formed and led the Dairy Workers’ Union and the highly successful African General Workers’ Union. Mokgatle was highly critical of the cosmetic reforms of the “liberal” government of J.C. Smuts and of the ANC’s moderate approach to successive white governments. He and S.S. Tefu turned the Pretoria Market into a political arena where a series of political meetings were held and fierce political speeches delivered. When the government of Dr D.F. 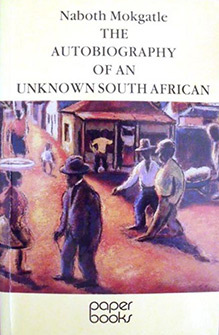 Malan passed the Suppression of Communism Act in 1950, Mokgatle’s “political home” was destroyed as the CPSA disbanded. Mokgatle’s various organized labor and political activities brought him into headlong contact with state repression. Between 1930 and 1954 he was arrested and imprisoned on countless occasions. His union’s offices in Pretoria and his homes in Marabastad, lady Selbourne and Atteridgeville were frequently searched and many documents seized. His overseas mail was intercepted and confiscated. The banning orders placed on him in 1952 and 1954 by Minister of Justice, Education, Arts and Science, C.R. Swart, effectively denied him any form of existence in South Africa. Mokgatle therefore left South Africa on September 1954 with a self-written affidavit in his passport. He ultimately made London his home. Later his family joined him in exile. In 1956 his Atteridgeville home in South Africa was ransacked during the events that led to the infamous Treason Trial.